You'll always be prepared when you've got our Guide Gear® Fleece-lined Sleeping Bag strapped to your gear. 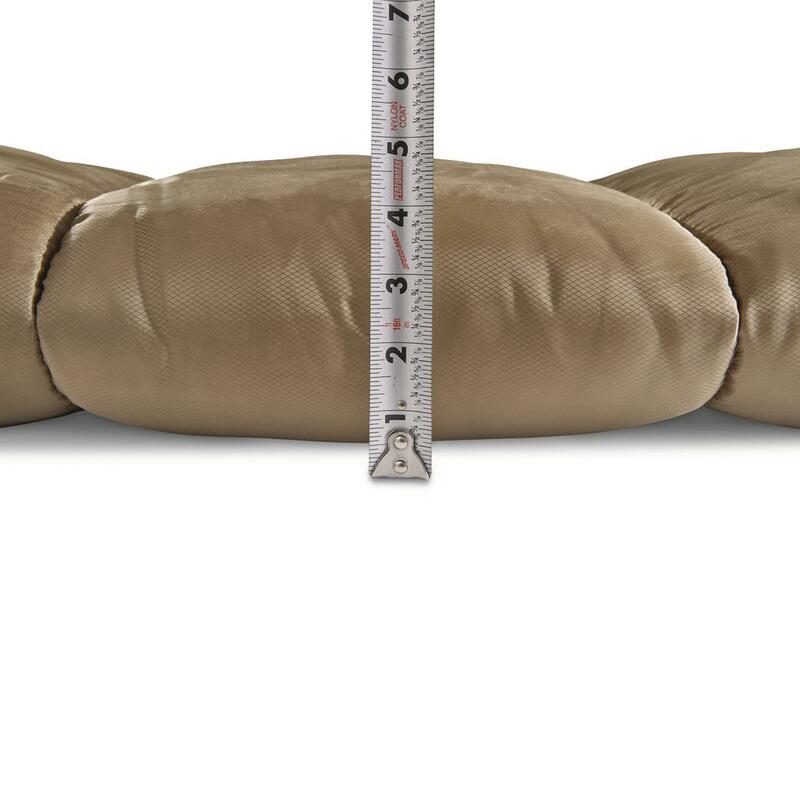 That's because we pumped up the insulation to keep you warm all the way down to -15ºF! 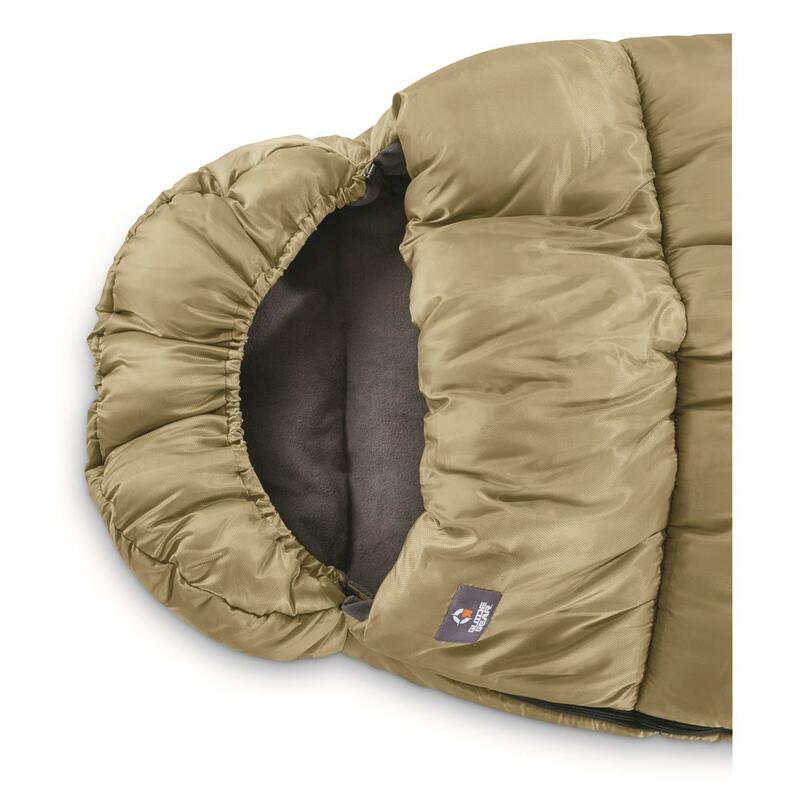 Combine that with the 210T ripstop polyester outer shell and you've got a Sleeping Bag that's as ready for adventure as you are. Warm. Tough. Value-priced. No wonder it's a best seller. Take advantage of this deal before you strike out on your next getaway! 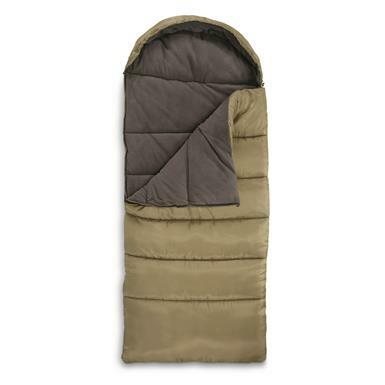 Guide Gear Fleece Lined Sleeping Bag, -15 F is rated 4.8 out of 5 by 194. Rated 5 out of 5 by G Mike H from Nice Bag! I bought a 0F bag several months ago that I have had out several times and had no trouble at all. The exterior is not as heavy as the Guide Gear canvas bag I got from SMG years ago but fit my needs to a tee. All the seams are well stitched on the batting, around the hood and sides, and the zipper works as intended. 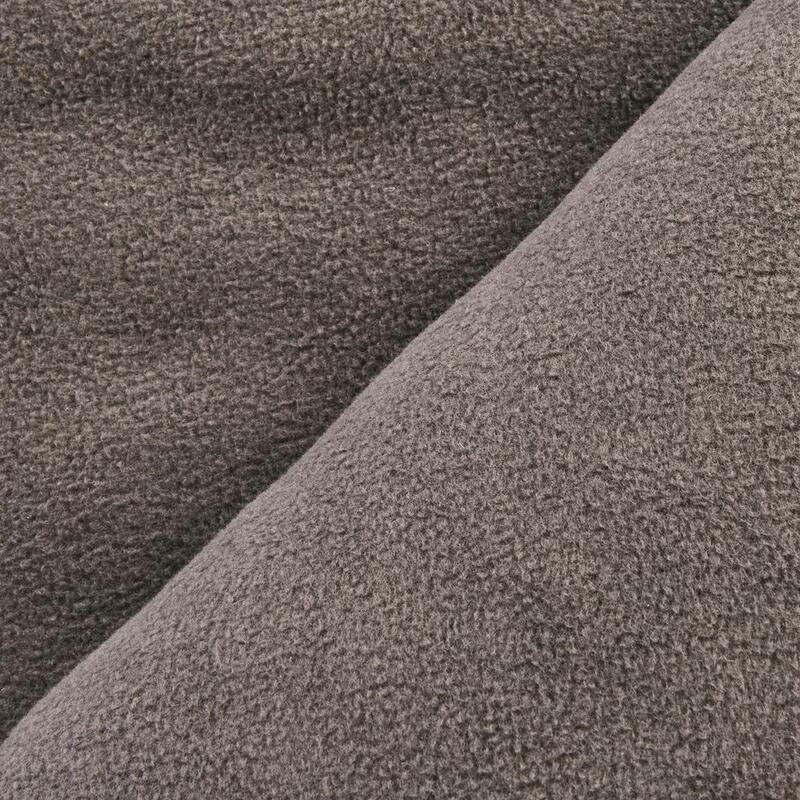 The lining is soft without too much pile and is warm when you crawl in. The bag is roomy enough that you don’t feel restricted in movement. 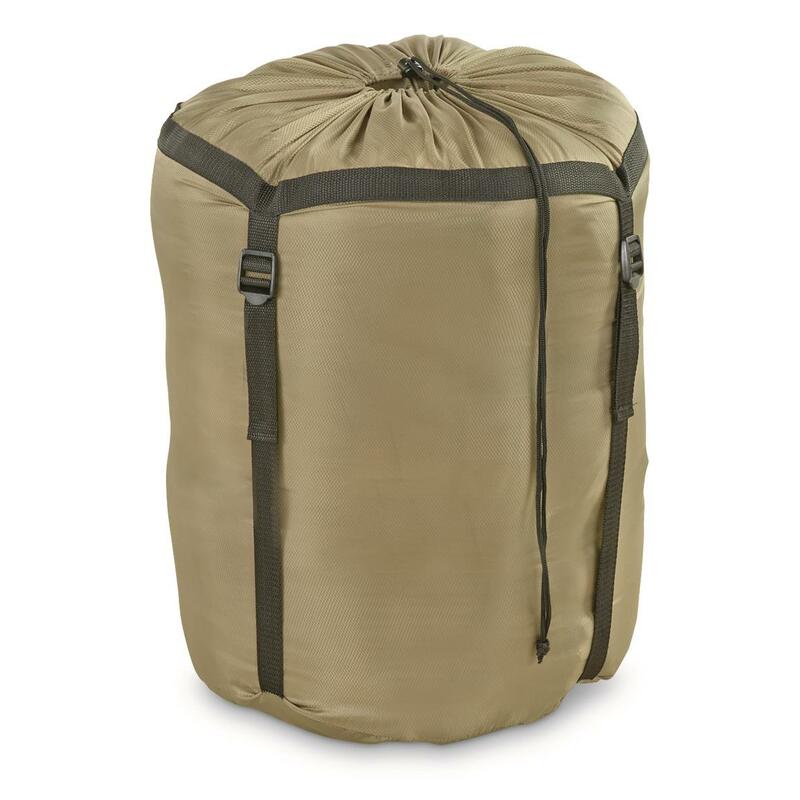 This -15F bag is a duplicate with a bit more insulation, same quality of construction. I gave the 0F to my daughter and went for the -15F for that bit of extra warmth. I sometimes camp out of a Tacoma with a 40” wide bed. These bags are 39” wide and fit in the bed like a glove. I like that I can roll it up and stuff it in the carry bag to keep it clean and out of the way. Heck, I’m sold! Rated 5 out of 5 by bart from works great no more cold feet and legs at night. use in bed works great! Rated 5 out of 5 by panner from Great Bag at a Great Price I used this bag recently on a hunting trip up North. The day started out in the mid 40's and a storm moved in that evening and temp dropped into the teens with a below zero wind chill. When I got in the bag it didn't take long to get warm and I woke up the next morning warm as toast. So far I love this bag, keep me warm all the night I was there and them temp was below zero most of the nights. I will purchase another one of these for a gift to my grandson who goes with me from time to time on hunting trips. Rated 5 out of 5 by Dave from Great bag This is the best bag I have ever owned ! I went hunting in the late deerseason in the Cascades of Oregon with the temps down to -17 and wasa little skeptical about how warm this bag would be. To my surprise, thisbag was toasty warm. If sleeping on a cot it is very important to have agood pad. With that in mind, this bag will perform beautifully. You won't be disappointed. Rated 4 out of 5 by cranky from great value I have many bags over the years and this is one of the best. 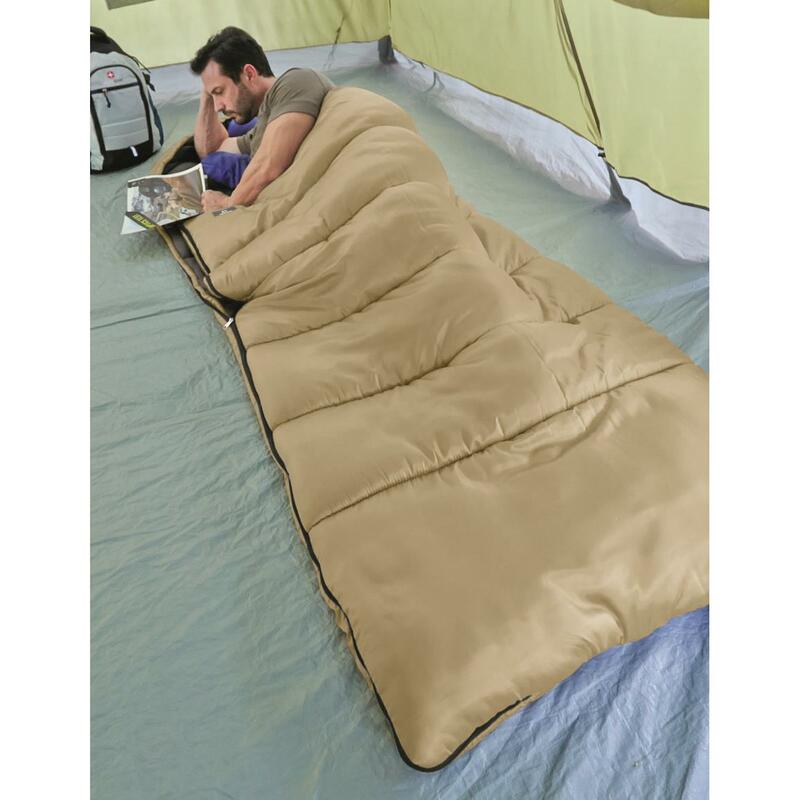 I would give it a 5 star or better rating but it to hard to oll up and get in the stuff bag. If it had the straps on the sleeping bag instead of the stuff bag that would make it perfect but the is fantastic. Rated 5 out of 5 by gary from Great Price For the price you can't beat this bag. 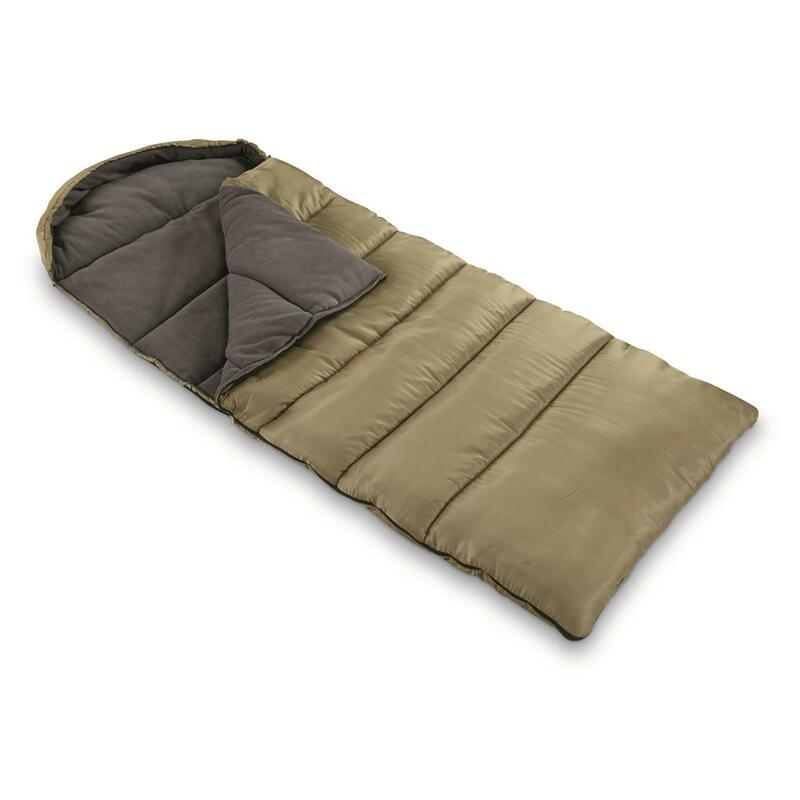 I thought for the price I paid for this sleeping bag I was probably going to get and inferior bag. Boy was I ever wrong.The inside of this bag is very soft and cozy. You won't regret owning this great bag!